In a large pitcher, combine water, orange slices, mango, rosemary, and ice. Add a squeeze of lime juice for a tart citrus twist. Fruit- and herbed-infused water is one of the best ways to hydrate ourselves. 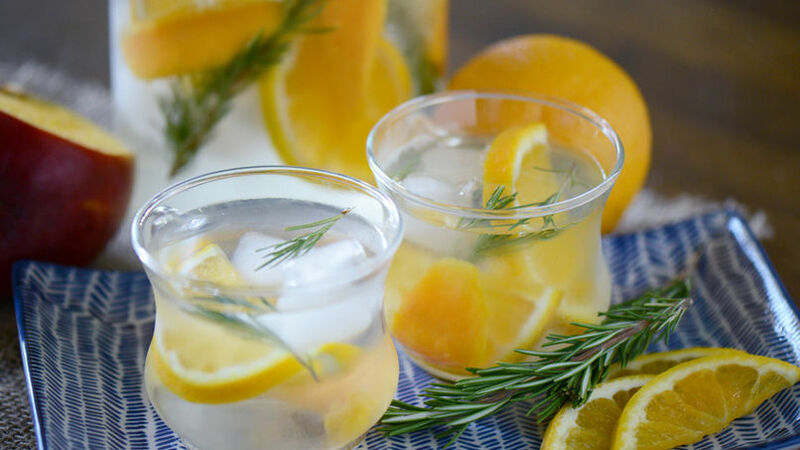 Hints of orange citrus zest, sweet mango hints and flowery rosemary give this refreshing thirst quencher a great taste with natural flavoring. If someone in your family doesn’t like to drink water, this infused combination is a great alternative to get your 8 glasses of water a day!